These Holiday Instant Pot Recipes are perfect for any holiday gathering. Free up a burner or stove room by using your electric pressure cooker. The Instant Pot is all the rage at the moment. If you haven’t heard of this electric pressure cooker, you need to check it out. I have been able to make the moistest dinners, sides, breakfast, lunch, and even dessert with my Instapot. Being able to cook chicken breast from the freezer to the plate in minutes has been a lifesaver for this busy mom. 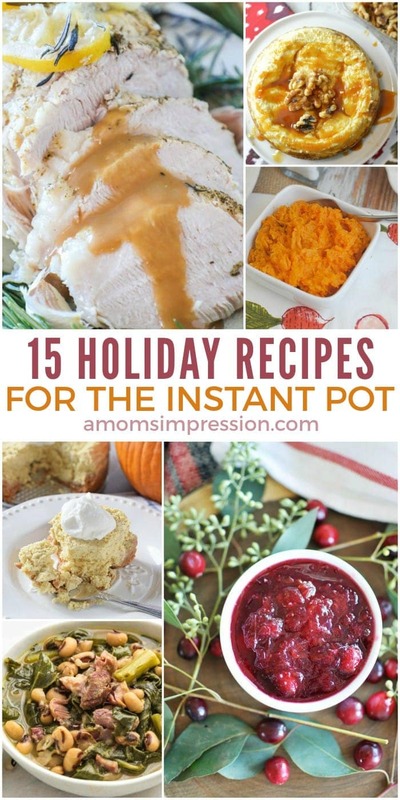 With Christmas coming up, I thought it would be fun to share some delicious holiday Instant Pot recipes that are perfect for any big meal. Using your pressure cooker opens up more space in an oven or stove top, it’s a great appliance to have around! 15. Pressure Cooker Mashed Potatoes | Kleinworth & Co.
Not to be outdone, you can also make desserts with your Instant Pot. 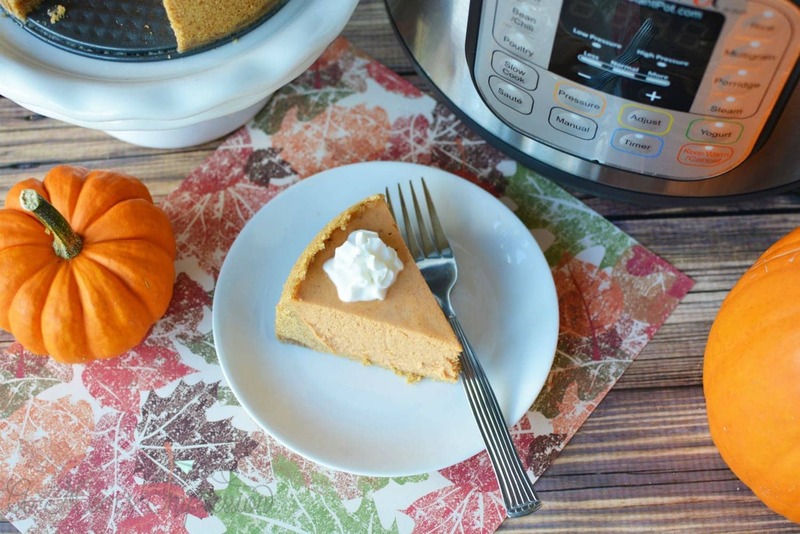 This Pressure Cooker Pumpkin Cheesecake Recipe is so good you will want to make for every dinner party that you host throughout the year. I think my favorite thing to cook in the Instant Pot is mashed potatoes. 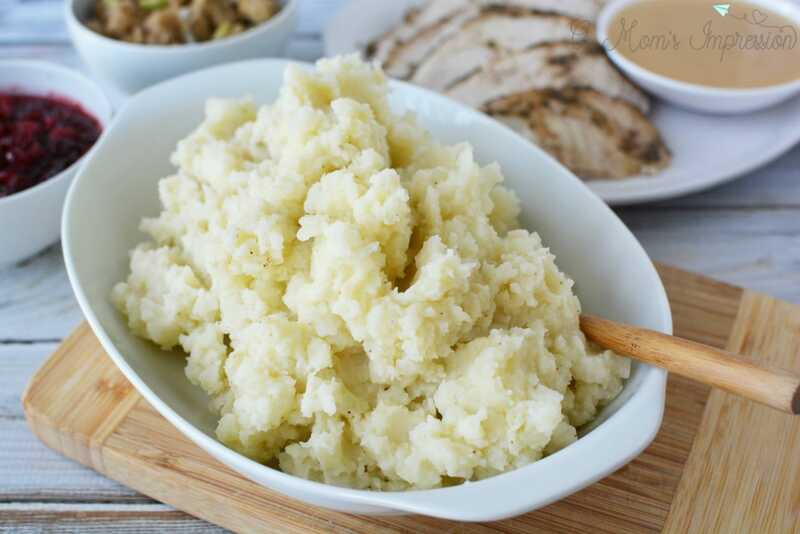 Making your mashed potatoes in the Instant Pot is a fantastic idea. I often make these Pressure Cooker Mashed Potatoes during the week because of how simple and easy it is to do. You can keep them warm in your pressure cooker while you finish up any other cooking you might have left. 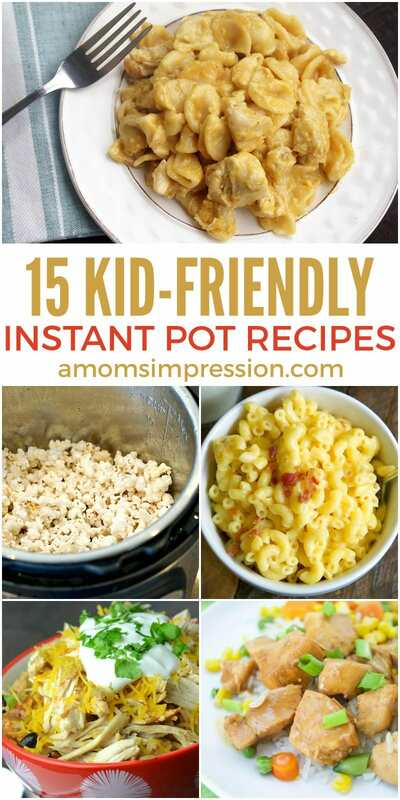 For our kid friendly pressure cooker recipes be sure to click the photo below!